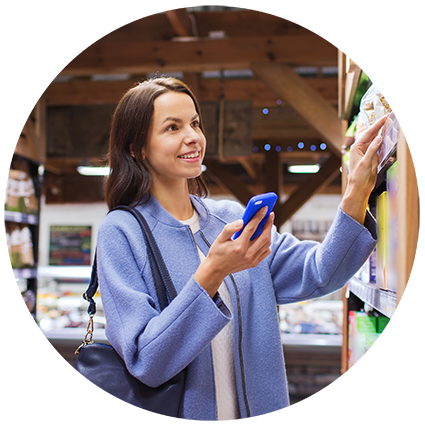 Mobile devices have become an essential tool for retailers looking for more effective ways to engage their customers. Whether using a smartphone or tablet, and whether comparing products and prices, reading product reviews, or making purchases, consumers’ always-on mobile devices are now a pivotal feature of the retail experience, and the logical centrepiece for enhanced engagement. The figures are compelling – there are more than 7.5 billion devices on the planet, and over 3.65 billion unique global mobile users. Progressive retailers are embracing omni-channel engagement strategies, which extend the physical contact that customers have with the store into all of the possible digital touch points, including social media, web, email, phone calls and SMS. The great advantage of mobiles is that they are able to cater to all of these channels through one physical medium. Two of the main ways that retailers are using mobiles to engage their customers are for promotional offers to drive sales, and for after sales support and feedback capture. Let’s take a closer look at these options. Based on customer preferences and purchase history, retailers may send rich, on-brand offers to customers, refined by attributes like market segment, location or social media interaction. These can include text updates announcing upcoming sales as well as discount codes sent directly to the phone. 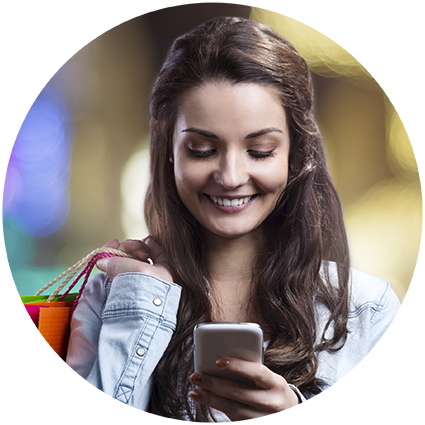 Geo-location allows timely, contextual offers to be sent customers when they are actually in-store, prompting high, immediate redemption rates. Mobile messaging allows an unprecedented level of real-time contact with customers and it’s vital to maintain trust and add value when communicating this way. Giving customers the ability to opt in and out of contact, as well as setting their personal preferences ensures that contact is both welcome and relevant. Given the general preference for rapid, easily accessed communication, SMS is a viable initial channel for customer service, lowering costs, and keeping contact concise and focused. More complex conversations can readily be escalated, allowing customers to engage further via their preferred contact paths when it suits them, such as phone, email or social. This provides immediate options for customers to channel negative responses before they turn to social media, and impact your brand. Feedback can be immediately captured by surveys post-contact, with forms which are easy to follow and optimized for mobile, for higher completion rates. Mobile is also effective for sending quick updates such as tracking numbers and order status for deliveries. Send messages to your customers in the way that suits them, whether that’s voice, SMS, Social Media, Rich Messages or email, to improve the rates of delivery. Knowing that customers will almost always have their mobiles close allows organisations to provide messages on all these channels. GPS-enabled smartphone applications allow users to share real-time location information, with relevant data and offers matching the customer’s location. This becomes particularly useful when messaging is integrated with related value added platforms. Combining all of these communications streams into a single platform, with a central reporting dashboard improves cut-through in the delivery of messages and provides a mechanism for tracking all critical communications, giving recipients a way to respond appropriately. This allows informed, real time decisions to be made based on the feedback gained from these conversations. Time to market is reduced when generating seasonal catalogues while maintaining App-like experience. Video content can be showcased, providing an all-in-one shopping experience targeted at seasonal events. Integration with CRM and marketing databases allows customers to be automatically and programmatically notified when wish list or aligned products are on sale – exceeding expectations with personalised & relevant offers. This attracts new customer to store, provide additional and differentiated value for VIP and loyalty customers, and protects and enhances the retailer's Brand.